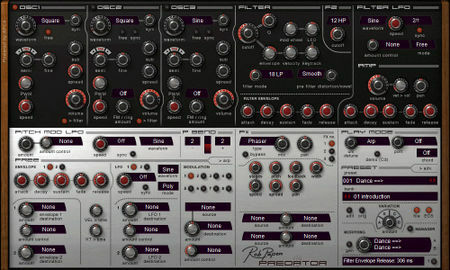 I just spent a few weeks immersing myself in Rob Pappen’s Predator Virtual Synthesizer. I’ve reemerged and decided to share my thoughts on this synth with a review. 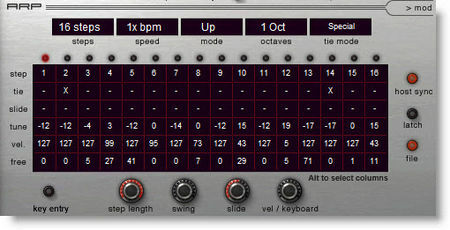 Predator is a virtual analog synthesizer for Windows or Mac that runs as a plugin (VST, Audio Unit, RTAS). 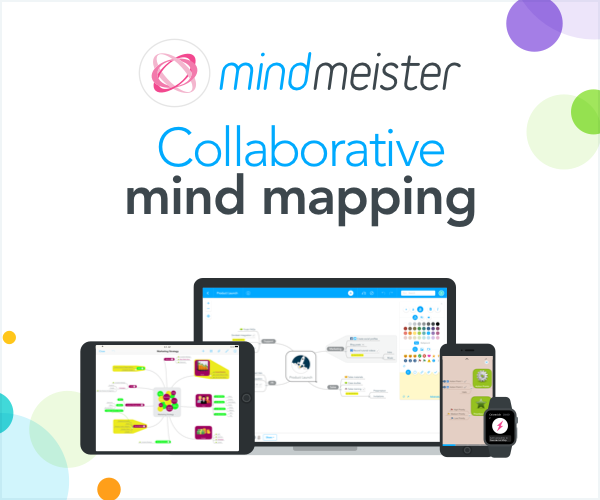 It ships with a huge library of presets, and built-in tools for patch browsing and search. It also has some innovative features such as preset morphing, intelligent preset variation, and chord memory. Even though Predator is primarily a subtractive synth, it can produce a much wider range of sounds than your average analog synthesizer. This is made possible with a powerful yet straight-forward three oscillator architecture. For each oscillator you can select from one of 128 wave forms. In addition to analog waveforms, Rob Papen has included, additive, spectral, pink & white noise as well. Each oscillator also has Pulse Width Modulation and oscillators 2 & 3 have modes for Ring Modulation and FM Synthesis. In plain English, you don’t need to understand complex harmonic structures to produce complex sounds quickly. Predator allows for 3 effects per preset. The list includes Mono Delay, Stereo Delay, Comb, Reverb, Chorus, Chorus/Delay, Flanger, Phaser, Wah/Delay, Distortion, Low Fi, Amp Simulator with 5 models, Waveshaper, Stereo Widener, Autopan, Gator, Vocoder, FX multi-filter, 5 Band Equalizer, Compressor, Ensemble, Cabinet Simulator, Multi- distortion and AutoWah. Two FX modulation sources are available for connecting midi or synth controls to FX parameters. The “Gator” effect is a trance gate. “Vocoder” is a 32 band vocoder that can use either samples or sound (input) that is fed into Predator as a modulator. So, creating cool vocoded effects is a snap. 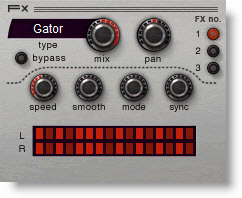 I should also mention that there is a stand-alone version of the effects processor called PredatorFX which allows you to use these effects on any audio channel in your DAW. Predator has a 16 step pattern based arpeggiator with some excellent features that might make you use this arpeggiator more than the one in your DAW. Some stand out features include the ability to enter note values for a step by using your midi keyboard. You can also set note velocity, swing and slide amount controls. One really cool feature is the ability to use an arppegiator step as a free modulation source. You can even control arpeggiator latch using a midi sustain pedal. Lastly, you can copy, paste, clear, move, reverse, randomize and turn off / on controls, for both selected steps or all steps. The interface supports right-click for access to additional parameters. For example, you can reset a knob to its default state or execute MIDI learn to map knobs and sliders on your controller to a Predator parameter. What’s amazing about Predator is that almost all the parameters fit on its clean one page interface. A few parameters require you toggle to a different panel (see this article). The layout is logical and simple and if you’re familiar with subtractive synthesis you’ll be creating new custom presets in no time. sources and 65 modulation destinations. At $149 EU/ $179 US you’ll be hard pressed to find a virtual synthesizer with more bang for the buck. For many I think this will become their “goto” synth. I’ve covered the core elements of Predator in this review but there are many, many more features I’ve left for you to discover. Checkout the links below for more. Step 1 – Create Hit Song, Step 2 – Backup Your Data!